The legislature yesterday passed legislation governing ill-gotten political party assets, which states that all properties obtained by political parties after 1945 — not including party membership fees and political donations — are to be considered illegal and must be returned to the state. The act states that all assets of a political party are considered frozen the moment the act is promulgated, with violators facing a jail term of up to five years. Any attempt to avoid, deny or obstruct investigations into party assets could lead to a fine of between NT$100,000 and NT$500,000. The legislature also voted to approve a key provision of the act that stipulates that assets obtained since Aug. 15, 1945, would be subject to the proposed law. The DPP moved to amend the official name of the draft from the “act on handling ill-gotten party assets” (不當黨產處理條例草案) to the approved version to include assets held by the KMT’s affiliate organizations, such as the China Youth Corps and the National Women’s League of the Republic of China, as the funding of these organizations has always been included in the party’s fiscal budget. Several pieces of interesting information here. First, the KMT has a year to do the accounting. Lots of stuff will disappear -- I hear interesting stories from my friends in the financial community about seedy attempts to sluff off these assets. Second, the law does have language allowing for seizure of assets if they have been offloaded. Third, only 31 legislators voted against the legislation from the KMT, which has 35. This means that four legislators defied their party. The KMT wants to send the bill for constitutional review -- the courts are packed with KMTers from the previous Ma Administration -- but it needs 38 votes -- 1/3 of the legislature. It is now attempting to find votes from other parties. HEY: the DPP Administration is doing away with the ROC Yearbook. Wrong move. If you know someone inside MOFA or the EY, please tell them that the Yearbook is an important source of information and the Tsai Administration can shape what is presented to its political ends. Tell them to change the name to Taiwan Yearbook, too! Scientology on the rise in Taiwan? Latest on the bus driver murder-suicide of 26: he was convicted of sexual assault and owed big bucks to the victim. This is another failure of that stupid system whereby people convicted of crimes are out on the street with the change for revenge or escape for weeks before being jailed. Can we get that reformed? On ICRT with Ralph Jennings, who had some sharp observations on the KMT asset law, and with Ian Rowen, who delivers on tourism. Hosted by the awesome Keith Menconi. Gavin Phipps was on break, so we Americans had no one to rein us in. 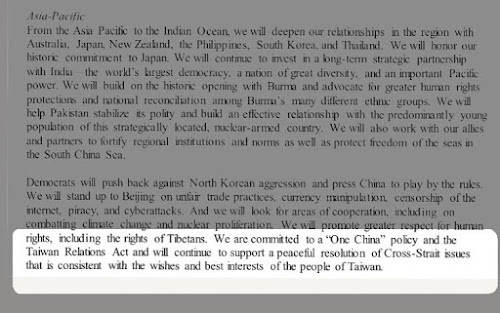 From the Democratic Party Platform: nice things about Taiwan. Totally quotable: from presentation today on IP tweeted by Peter Dernbach: Total page views to top 5 pirate sites in Taiwan are 5 times more than total page views to top 5 legitimate sites. DON'T MISS: The End of China-Taiwan Rapprochement Tourism. Solid and informed analysis, as always, from the awesome Dr. Ian Rowen. Taiwan fishing boats reach Itu Aba to protest the recent SCS ruling, but they were not permitted to land, but simply to set foot on the pier to get supplies (the pier is on the reef off the island, not on the island itself. Because of this, supplies have to be schlepped by small boats from the pier to the island). How bad is Taiwan's economy. Not that bad. It's nice that the Washington Post interviewed President Tsai. Unfortunately -- as is all too common -- the Post interview went to someone who obviously knew nothing about Taiwan and apparently had hurriedly boned up on it. This was regrettable, all the more so because the Post employs Emily Rauhala who has already interviewed Tsai. ...Although China and Taiwan have been able to paper over their differences to date, tensions have been mounting since Tsai’s inauguration, when she did not restate the so-called ’92 consensus, in which Taipei and Beijing agreed that they are part of “one China” — but with different interpretations. Um, nope. Beijing does not accept the "different interpretations" codocil. There is no excuse for regurgitating this piece of KMT propaganda -- explanations are all over the internet. Please stop, journalists. The two authoritarian, unelected governments in Taipei and Beijing did not agree on anything in 1992. At least, as the Taipei Times pointed out in an editorial, the interviewer used "so-called". My man maddog called attention to the KMT's response: the party said it was disappointed that Tsai had chosen to go with the will of the people on the 1992C (which has only minority support in Taiwan). Someone needs to prepare Tsai for this nonsense so she can instantly point out Beijing never accepted that codocil. CHARACTER SPEAKING JAPANESE: asajhaksd qwqiuey ;pteprofkepokf kaak alkje aaoijde alijl aiosudh! oasjudj llaije jliajdelij lalajd owoirjgw! aliaedj! Keen Observer pointed to the WaPo question about which presidential candidate would be better for Taiwan (just think of all the questions the interviewer could have asked, but instead chose this pointless, disrespectful, and impolite question). WAPO: "As the leader of a different country, it is not very wise for us to comment on the presidential election in the U.S."
The second half of the response, in which she expresses the hope that whoever is elected, current relations would continue, is simply removed, making Tsai sound almost truculent. Similarly, compare the length of WaPo's "question" (actually a pro-Beijing accusation) to Tsai's answer. Q: It doesn’t seem that way. I think it was China’s Taiwan Affairs Office, part of the State Council, which said that your speech was “an incomplete exam.” There is no public indication that they appreciated your position. Are you, the president, in touch with your counterparts in the Chinese government? A: Different levels of the government have different ways of communicating with their counterparts in China. At this stage, I cannot go into too much detail. Sshe emphasizes that there are many communication channels between China and Taiwan, not only government bodies, but quasi-governmental bodies, and that many governmental bodies have their own communications channels with their Chinese counterparts. The second sentence about detail makes her seem abrupt. Q: Some academics say Xi has a certain deadline by which he wants you to agree to the ’92 consensus. Is that right? (asks Tsai to respond to alleged China demand). Q: Isn’t China your No. 1 trading partner? (aaannnnddd back to China. That didn't last long). Q: So China has become a competitor of Taiwan? (oh, China again. Couldn't use this space to ask about ASEAN? Japan? The EU? Defense cooperation with Japan and US? Chinese ADIZ over SCS? etc etc etc). Q: I saw that you expressed disappointment over the ruling by the Permanent Court of Arbitration in The Hague on the South China Sea. It held that Taiping Island, which you claim as part of Taiwan, is a rock, not an island, and thus cannot enjoy an exclusive economic zone. Will you abide by the ruling? (this question is so well informed it seems like a question the Tsai team might have suggested. Which is very scary). Greece nabs 120 Taiwanese suspected of phone scams. 120 people! Lawmakers Chen Ting-fei, Lo Chih-cheng, Tsai Shih-ying and Wang Ting-yu of the ruling Democratic Progressive Party, as well as Chiang Chi-chen, Hsu Chih-jung, Huang Chao-shun and Lu Yu-ling from the main opposition Kuomintang, flew from southern Taiwan’s Pingtung Airport to Taiping Island on a military transport aircraft. The PCA neither formally invited the ROC to participate in its proceedings, nor did it solicit the ROC’s views. In addition, ROC-governed Taiping Island wasn’t originally included in the Philippines’ submissions for arbitration. However, the tribunal took upon itself to expand its authority, declaring all features in the Spratly Islands to be rocks, including Taiping Island, which beyond dispute meets the criteria of an island as defined by the U.N. Convention on the Law of the Sea, as it can sustain human habitation and an economic life of its own. “In the beginning, nobody said, ‘Include Itu Aba.’ Nobody. Not (Paul) Reichler (the Philippines’ lead lawyer), not the Department of Foreign Affairs (DFA). Nobody,” Jardeleza told the Inquirer in an interview on Thursday. “Nobody wanted to mention Itu Aba because the risk was, if the tribunal ruled that it was an island, there would be an overlap of the EEZs,” he said. The feature was not in the original complaint against China that the Philippines brought in January 2013. In the following months, Jardeleza’s said scholars started taunting the Philippines in news reports for missing the largest feature in the Spratlys in its case. Still, Reichler, of the international firm Foley Hoag who was commissioned for the case because of his experience in international arbitration, wrote 17 paragraphs about Itu Aba in the Philippines’ “memorial” in the case. The memorial—a “long explanation of the complaint,” according to Hilbay—was in the works at the time. Then President Benigno Aquino III eventually decided to include Itu Aba in the memorial, which was filed in March 2014, through mere mention, which made it “an incidental issue that might be relevant for deciding the major issues,” Hilbay said. Later, it was the tribunal itself that asked the Philippines to submit further pleadings tackling Itu Aba—the strategy that Hilbay and Jardeleza said they had been eyeing all along. “[The tribunal] knew Itu Aba was going to be crucial because it’s the largest feature. The tribunal itself was the one who compelled us to discuss Itu Aba, so it’s they signaling to us that we could not decide a lot of the issues you raised without looking at Itu Aba. But it’s the tribunal, not the [Philippines, that raised it as a feature whose status must be clarified],” Hilbay said. The Philippines' legal strategy was apparently to get the Tribunal to ask for more information about Itu Aba. The Tribunal did not "expand its authority" since it was authorized to explore the Philippines' complaint against China, and anything that Phils included in the complaint was fair game. Taiwan may not have been invited to participate, but it clearly participated (the friend of the court brief from the ROC body is here and hosted on Scribd, the position paper is online here). Both of those were submitted under the Ma Administration. 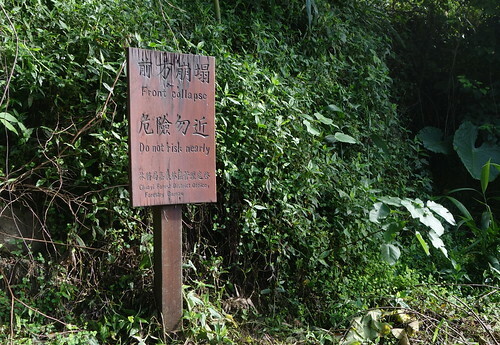 As Francis-Xavier Bonnet has shown, the "markers" referred to in both texts that assert older Chinese sovereignty over the islands were planted in the 1930s and again in the 1950s. And none of the PRC or ROC presentations addresses the key Philippines' argument: there was never a population of indigenes on the island. To an outsider, this religious practice might seem at odds with Taiwan’s status as a decidedly modern and technologically advanced society. Yet the past and present coexist without contradiction in the minds of most of its citizens. The reason is partly historical. 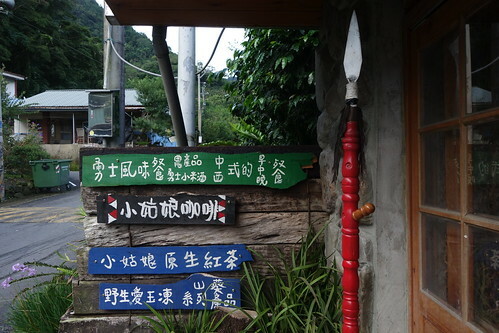 While the Communist Party repressed traditional culture, including folk religion, following its takeover of China in 1949, these practices thrived under the Kuomintang (KMT) government in Taiwan. Actually, the KMT attempted to suppress and reshape local religious practice well into the 1970s, because in many cases it was a source of resistance to the regime and to KMT rule. Folk religion eventually thrived because unlike Communist China, the locals were able to draw on great resources to defeat the Leninist authoritarian party's commitment to suppressing and co-opting local religious practice. One of Taiwan’s liveliest festivals is the Matsu Holy Pilgrimage, which recreates the journey of 19th century devotees who traveled every 12 years from Taiwan to the goddess’ temple in Meizhou Island, off the coast of Fujian in China. The now eight-day pilgrimage from Zhenlan Temple in Taichung to Fengtian Temple in Chiayi is internationally famous and recognized by UNESCO as a world intangible cultural heritage. 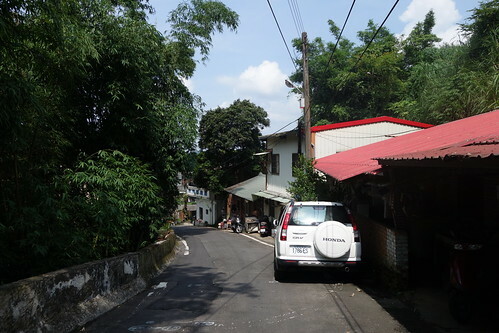 ...without mentioning its close connection to the KMT and the fact that it has long been run by Yen Ching-piao, widely reputed to be the island's biggest gangster, and his temple association. Years ago I took BBC to task for neglecting this aspect of the pilgrimage. In addition to its local political function and its pro-KMT political functions, the Matsu cult is a key nexus of pro-China annexation efforts (read that post on BBC above). Longtimers here may recall that one of the first direct sailings from Taiwan to China in the modern era was a Matsu ship in May of 2009, heading up by one of Yen's right-hand men. Remember also that one of Jason Hu's projects as mayor of Taichung was to build an enormous Matsu statue facing across the Strait. Quartly's neglect of the rich political associations of the Matsu cult is all the more strange since he briefly discusses the connection between religion and politics at the end of the article. To an outsider, this religious practice might seem at odds with Taiwan’s status as a decidedly modern and technologically advanced society. Yet the past and present coexist without contradiction in the minds of most of its citizens. Richard Bush III apparently thinks Ma's economically destructive sell out deals with China were good for prosperity *sigh* Numbers, please! DPP's Lee says US Republican party more supportive of Taiwan's security. Sure wish these guys would learn just be polite and say nice things about everyone. The next president will likely be a Clinton, after all. Overall tourists fell as well, from 882K in May to 817K in June. That's more serious, than the always political and always transient flow of territorial imperatives from China. Note that the fall in Chinese tourists has made Hong Kong tourism equal to more than half of all China. As a growing number of travel agencies that cater to Chinese tourists find themselves in debt, restaurant owner Wu Po-min (吳柏旻) said he hopes to draw individual foreign and Taiwanese tourists, rather than undercutting offerings for tour groups and lowering standards. “However, in recent years travel agencies have been settling bills on a monthly basis — the nightmare has begun for many restaurants that depend on tourism,” he added. Large travel agencies often transport busloads of tourists to restaurants for a commission, but in the past couple of years, as these agencies have started going bankrupt, they have been leaving as much as NT$1 million in unpaid restaurant bills, Wu said. Bankruptcies have been occurring all over Taiwan, with proprietors generally forced to absorb unpaid bills themselves, he said. This problem has been ongoing for years, with the media reporting that Chinese travel firms are not remanding monies to local firms. The "gains" that the media reports come from the Ma government's surveys of tourists at airports, asking them what they spent. Not reliable data, as the media has shown many times over the years. The numbers are inflated, and even the lower and more rational numbers were still too high, because of the unpaid debts to local businesses: the alleged money never actually arrives. Chinese tourists also do not pay their medical debts -- up to US$31 million worth. 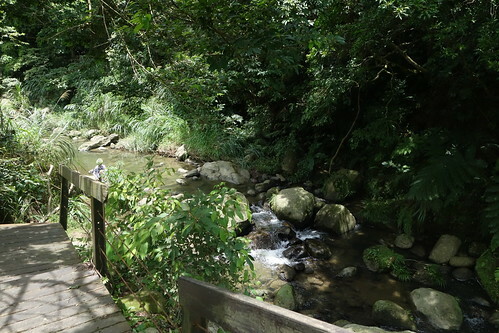 The online ads, with Mandarin, English and Japanese headlines, say that the quality of tourism at popular scenic spots such as Sun Moon Lake (日月潭) in Nantou County and Alishan (阿里山) in Chiayi County has improved as a result of a decline in the number of Chinese tourists. The drop in Chinese tourists will benefit Taiwan in the long run. Beijing's cut in tourists is a tactic that benefits Beijing, since outbound tourism is an import. Beijing could be hurting Taiwan businessmen in China, or refusing to trade, or doing something serious. 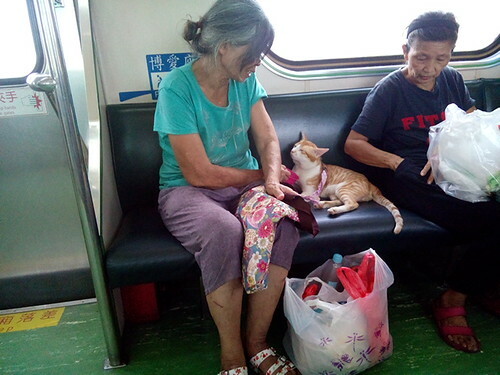 Instead, it has chosen harmless symbolic actions that are good for China -- and probably for Taiwan as well. 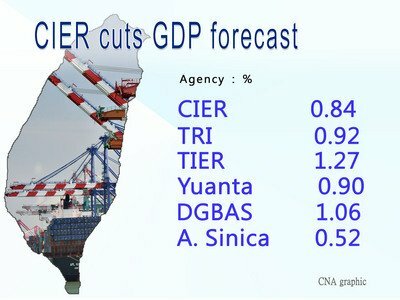 The Taipei-based Chung-Hua Institution for Economic Research (CIER, 中經院) has lowered its forecast for Taiwan's gross domestic product (GDP) growth in 2016, citing prolonged weakness in the country's exports amid a slow global economic recovery. The economic think tank on Tuesday predicted growth of 0.84 percent for the year, down from a previous projection of 1.36 percent in April, and it also cut its forecast for economic growth in 2017 to 1.8 percent from 2.06 percent previously. Japan, Europe, and China continue to pull down the world economy, said CIER. The Asian Development Bank also downgraded its economic forecast for Taiwan, from 1.6% to 1.1%. Private sector investments are too low, meaning that excess cash is running around the economy, pointed out another piece. Speaking to the press, CNFI Chairman Hsu Sheng-hsiung (許勝雄) said that in the past 10 years, local investment only rose 17.19 percent, while the country witnessed its excess savings rate rise to 14.62 percent from 5.73 percent during the period, indicating that the local market is awash in idle money. The police captured the fugitives allegedly involved in NT$83 million heist from ATMs recently. According to local news reports, one of the men was in Dong-ao having a meal at a local restaurant when an off duty policeman came into the restaurant and spotted him. Apparently the majority, though not entirety, of the money has been recovered. Good news! The craze is about more than infantile consumerism: Hello Kitty has become an unlikely token of Taiwanese identity. She is part of a wider embrace of Japan’s kawaii, or “cuteness”, culture. And this is a way for the Taiwanese to define themselves as different from China, which lays claim to their island, by cleaving to Japan, their former coloniser. Hello Kitty was released after W.W.II in Japan and has always been very popular. 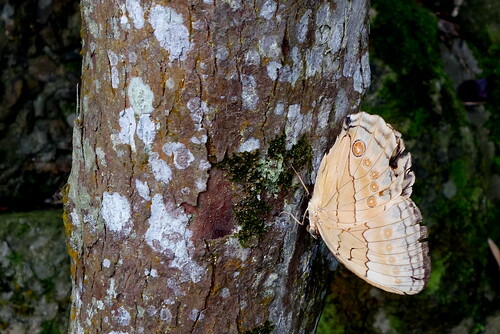 In Taiwan, it was expensive in the early days and could only be found in a few boutiques. 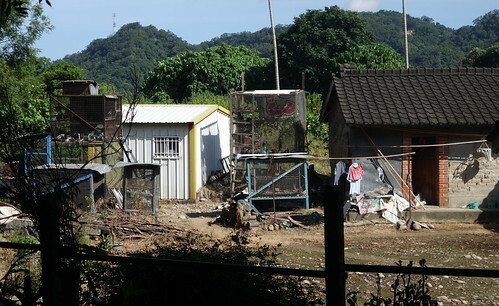 Not until the 80s were the economical conditions of Taiwan able to afford Hello Kitty; in many department stores Hello Kitty became a popular commodity. In the 90s, counterfeits of Hello Kitty could be spotted in night markets and vendor stands. At first Hello Kitty targeted at the teenage girl market, only in recent years did its consumer age move onward to mid-aged females. Amongst the animation cartoon figures‘ products, Hello Kitty is the only one that successfully developed a mid-aged female market. Hello Kitty has different roles: the popular culture, the night market counterfeit, the conspicuous consumption, the residue of colonialism, the elite and mass distinction, the sabotage of gender politics. Hello Kitty doesn't invent new cultural identity or meaning. The fact is, the latent social politics and relationships, antagonistic or not, seize Hello Kitty as their vehicle to surface. Various meanings are attached onto the object-sign Hello Kitty and thus consumed. Since the 1990s, Japan-mania has swept East and Southeast Asian countries and brought inbound tourism to the rescue of Japan’s stagnant economy. In 2003, guided by then-Prime Minister Junichiro Koizumi, Japan launched an international ‘Visit Japan’ campaign [Yokoso! JAPAN]. Except for some affluent Western countries, the campaign mainly targeted Korea, Taiwan, China and Hong Kong – markets heavily influenced by Japanese popular culture. Yoshino Kimura, a Japanese actress, was appointed as Goodwill Ambassador for Japan. 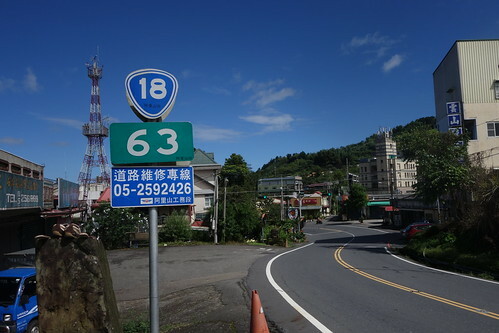 The tourist initiative regards the ‘globalization of economy’ as a way to revitalize local regions in Japan (Ministry of Land, Infrastructure and Transport, Japan, 2005). Its goal of ‘making Japan more attractive’ evidences an attempt at nationbranding at a time when Japan seeks to reposition itself in the global economy. It also turns the spotlight of international tourism from modern Tokyo to other localities that have reinvented themselves as representatives of traditional Japan. 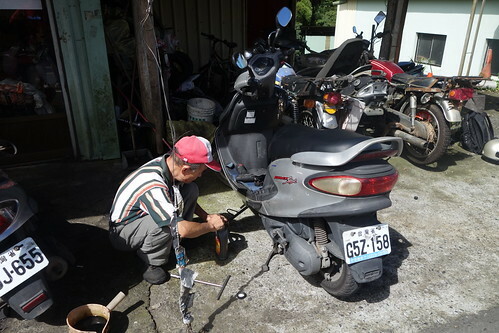 If strategic hybridism means adapting foreign cultures to the local context, Taiwanese hybridism makes the local culture look ‘foreign’ – that is, Japanese and Korean. There have been sporadic criticisms of Taiwan fawning on Japan and Korea, but calls for boycotts have been rare. Four mechanisms contribute to Taiwanese acceptance of all things Japanese and Korean: (1) the marketing of Japanese and Korean culture industries, (2) the promotion of Japanese and Korean popular cultures by local media, (3) business practice in Taiwan and (4) transnational tourism. These factors emphasize consumption, but they are also relevant to cultural production. What? No China identity issue? Say it ain't so! All this stuff is easily accessible on the Internet, which is why The Economist couldn't find it. Because it already knew the answer: China. James Baron at East Asia Forum: Taiwan's Friend Buying Days are over. Andrew Chubb argues that Beijing may have clarified the 9 dash line. Very interesting piece, though many observers see China's clarification as a reining in of expansion. I don't. Taiwanese fishermen are planning to sail to Taiwan-controlled Taiping Island in the South China Sea to protect the country's fishing rights in response to a court ruling that rejected the island's right to an exclusive economic zone. 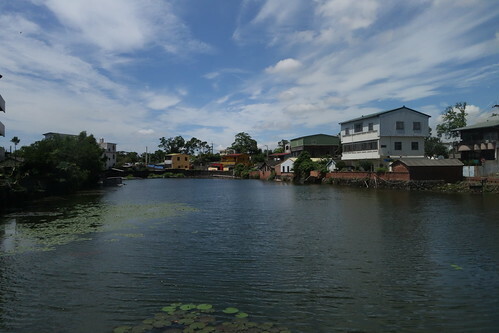 A day after fishermen from Pingtung County's Donggang Township proposed to set foot on Taiping to assert Taiwan's sovereignty claim to the island and safeguard their fishing rights, the Liuchiu Fishermen's Association expressed support for the move on Saturday. The Party Chair, a former KMT legislator, urged President Tsai to take "concrete action". Like what? Bomb the Hague? “The legislature, the ROC’s highest representative institution and authorized by the nation’s citizens, has made a resolution to make an international statement on the basis of facts and jurisprudence,” it said. “The ROC enjoys the rights conferred by international law over its South China Sea islands and its relevant waters as they are, in terms of history, geography and international law, part of the ROC’s territory and waters. Any country’s claims or occupation or any international arbitration’s arbitrary decision will not be recognized by the ROC,” the statement said. The CNA got in the swing of things, putting out a video explaining why the ruling is unfair. Yes, the whole government is taking a position sure to antagonize its South China Sea littoral friends and annoy the US and Japan. Not to mention, this puts pressure on the Tsai Administration. Brilliant. "Front collapse. Do not risk nearly." The first policy negotiations between the Executive Yuan and the Legislative Yuan on Monday night resulted in a decision to abolish the Red Cross Society Act of the Republic of China (中華民國紅十字會法), the Executive Yuan said. In other countries the Red Cross/Crescent operates under different legal regimes, but then it is part of the international organization. The local ROC Red Cross, while appropriating the name, is not recognized by the international Red Cross. Hence, there is no need for a special legal framework for it -- it is a local organization. Over the years there have been accusations of cronyism in its board and leadership appointments, strongly pro-KMT and pro-China stance, and a lack of transparency in donations. This back story is why many in the DPP and NPP view the elimination of its special status as an act of transitional justice -- and why the KMT is protesting so vigorously against placing the Red Cross under the law. 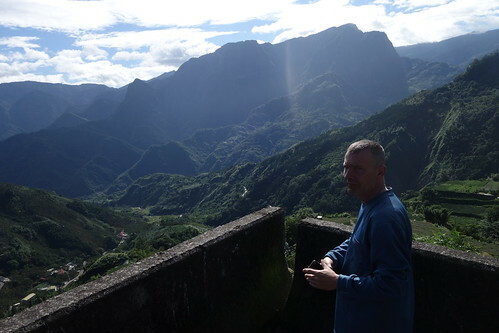 This week my old college roommate from 35 years ago came to Taiwan, so naturally I took him to Alishan. 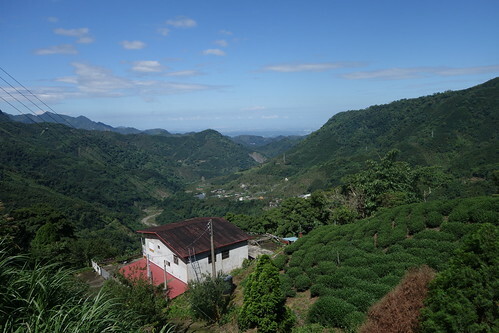 I took my old college roommate to Alishan on Tuesday and Wednesday, then frantically did all the work I'd been ignoring, then headed up to Taipei for hours of meetings on Thursday and Friday morning. Sorry for my silence. That's why her response to the surprisingly sweeping decision of the Court of Arbitration decision in the case brought by Philippines against Chinese expansionism in the South China Sea was so disappointing to so many of us watching. The Tsai Administration may have lost a perfect opportunity to separate itself from China, to reassure the US that would have a calm and rational foreign policy, to bolster its southward oriented diplomatic policies, and to begin to distinguish Taiwan from the ROC colonial state. There were a couple of bright spots. There's a pretty simple filter for deciding what to do in situations like this: imagine what the KMT would do, and then don't do that. First, the Court of Arbitration at The Hague ruled that the ROC-held island of Itu Aba was not an island but a rock under UNCLOS, along with everything else in the Spratlys. That was a massive defeat for China, which refused to participate in the proceedings. Tsai said a ruling handed down by the Permanent Court of Arbitration in The Hague, Netherlands, on Tuesday, especially the part pertaining to Itu Aba Island (Taiping Island, 太平島), constituted a severe impairment of the nation’s rights regarding its islands and territorial waters in the South China Sea. A paragraph in the court’s ruling states that all of the high-tide features in the Spratly Islands (Nansha Islands, 南沙群島) — which Taiwan claims — including Itu Aba, are legally “rocks” that do not generate an exclusive economic zone or continental shelf. The government has refused to recognize the ruling and deemed it as having no legal effect on the nation on the grounds that Taiwan was not invited to participate in the arbitration process, nor was it consulted about its opinions. To put it simply, Taiwan has sovereignty over Itu Aba, but it cannot utilize sea beyond 12 nautical miles economically without Manila consent. If you want to claim it can sustain human habitation because it has a spring, I suggest you take a look around the Pacific. As longtime scholar of Taiwan's aboriginal peoples pointed out to me, the ancient peoples of SE Asia spread themselves from Madagascar to Hawaii, but they never set up homes in the Spratlys. Why? Because sustained economic habitation is not possible there. The Tribunal may be right or wrong, but it is not being unreasonable. Without an outside source of supplies, Itu Aba is not habitable. The Tribunal thus defined what an island is under UNCLOS, which is not only its right but its duty (and something urgently necessary!). 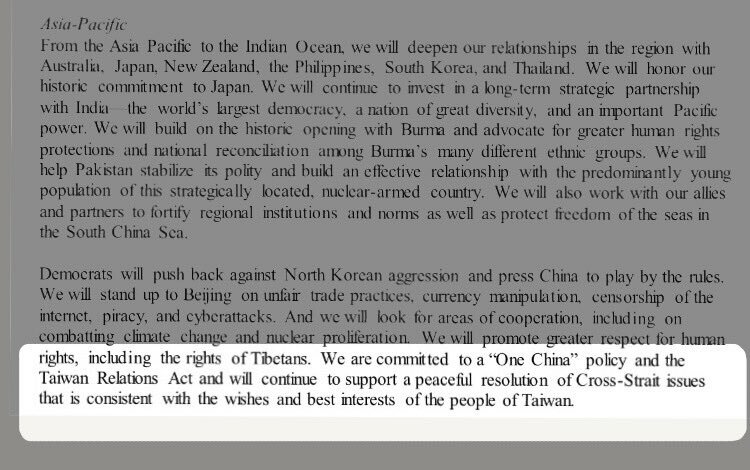 Note that the Tribunal, while defining Itu Aba as a rock for the purposes of UNCLOS, did not say Taiwan had no sovereignty over it. What the tribunal did was invalidate the infamous 9 dash line, for good. It also may have invalidated Japanese claims that the Senkakus can generate an EEZ, a problem Taiwan will have to deal with sooner or later. What it means is that sovereign features in that area like Itu Aba -- all of the rocks, spits, reefs, sandbars, and islands -- alike have no ability to generate an Exclusive Economic Zone (EEZ) out to 200 nautical miles, and are restricted to a 12 nautical mile zone around each feature. The remaining waters lie within the EEZs of Vietnam, Malaysia, Brunei, Indonesia, and Philippines. This means that (for example) Philippines can declare an EEZ over much of the area. To use resources from that area outside the 12 nm limit, nations will need permission of the EEZ owner. An EEZ allows ships to transit for research, military, and commercial purposes, but only the owner can access the resources. President Tsai Ing-wen’s (蔡英文) administration has reached an internal resolution on Taiwan’s territorial claims over the South China Sea, which stresses the nation’s sovereignty over islands in the area, but makes no mention of the so-called “U-shaped line” and “historical waters,” a Presidential Office source said yesterday. Tsai's reaction was deplored in all quarters, showing the many constraints on her actions: there's little she could have done without making the majority of people angry. The pan-Blues felt it didn't go far enough. US pundits felt it was a great error, and I heard privately that some US observers were angered that Taiwan was hurting the Philippines. Many of us felt Tsai ought to have used the 1992 Consensus approach: "We respect the ruling of the Tribunal Yadda yadda" and taken a low key, all-in-a-day's work approach. The Blue camp editorialized against the decision, saying it was a US orchestrated decision to hurt Taiwan. That's madness, but the appearance of Tsai herself on a frigate looking determined was certain to stoke Taiwan nationalist feelings and it is not a good idea to mix Taiwanese and ROC nationalism. That has been a long-standing goal of the KMT. Tsai should have sent the frigate later in the week, emphasizing the ho-hum nature of an ordinary patrol. Instead the heightened response sent the wrong message to states around the South China Sea that Taiwan is courting. Not a wise move. The hostility towards the ruling in Taiwan is stupid and short-sighted (imagine if the court had sided with China and declared the 9 dash line valid -- would Taiwan have been better off? No! As a longtime observer put it, Taiwan ought to be thanking Philippines for bringing the case in the first place. Much of the discussion on Taiwan as a post-colonial society focuses on domestic issues of transitional justice, such as the Red Cross (which came up this week with legislation removing its favored status) and KMT assets. But every state in a post-colonial transition faces this problem: given that out territory is the invention of our colonial master in agreement with other faraway colonial states, and inherited from that master, what is our territory? Itu Aba/Taiping Island is the kind of leftover post-colonial sovereignty issue that many former colonial states confront, from monumental cases like the India-Pakistan problem to little problems few have heard of, like Swain Island. In the Taiwan case this is a special problem, since the ROC is a shell that keeps China from attacking Taiwan. I expect that sooner or later Taiwan will have to give up its ROC territorial claims (like Mongolia! ), especially the Senkakus. It would be a good idea if the Administration had a more well thought out response next time. UPDATES: ROC has never claimed an EEZ based on Taiping. News Lens: With the politics-driven, entirely artificial Chinese tourist "boom" coming to an end, the hotel sector faces a day of reckoning. Were people really stupid enough to imagine that would go on forever? 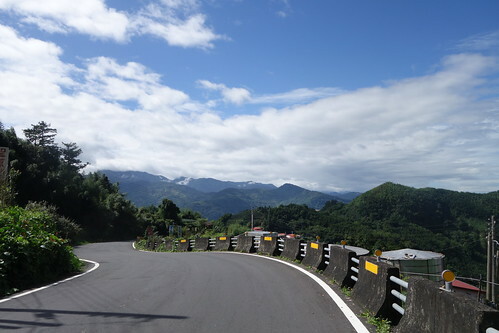 Transportation Minister Ho Chen Tan (賀陳旦) said Thursday that the number of Chinese tourists visiting Taiwan in June posted a bigger year-on-year drop than in May, although the country received more foreign travelers in the two-month period compared with the same period of last year. Zhang stressed that the Mainland side had never set a quota to restrict the number of Mainland tourists visiting Taiwan, adding that it was Taiwan that unilaterally set quotas. The June stats are not out yet. It is good news for the nation both economically and politically that Chinese tourist numbers are falling off and other more desirable tourist numbers are rising. Tourism is a tiny part of the economy. What about exports? Lately the media has been on about falling exports. What are the numbers? Total export value and growth rate (year on year, I believe)(source). When the papers report "17th straight month" of falling exports, they are using year on year numbers. As you can see, exports are downtrending but fluctuating. The Bureau of Foreign Trade says we're looking grim, with less trade than last year, and 2015 already lower than 2014. Ma's tying of our economy to China was an economic disaster for the island -- eight wasted years. What a shame. ...it's down a little year on year, but it was $16 billion in Q1, which augers well for the rest of the year. The salary on average in April stood at NT$ 43,560 or 0.73% less compared with the averaged salary in March this year. ...salaries continue to stagnate as inflation continues to drive up prices. That will hurt Tsai Ing-wen's approval ratings. Taiwan starts designing a home-made sub. Billions of dollars in sales from the US foregone. Train bomber caught, was mentally ill.
New High tech gadgets to drive exports? Video showing the destruction of Taiwan's mountains at the hands of its extraction industries.